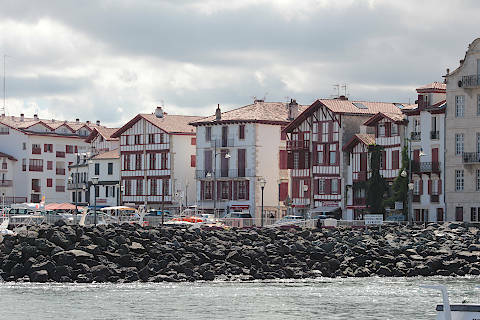 Ciboure is the quiet twin to its northern neighbour Saint-Jean-de-Luz to which it is joined by a road bridge, and separated by a harbour, close to the border with Spain in south-west France. 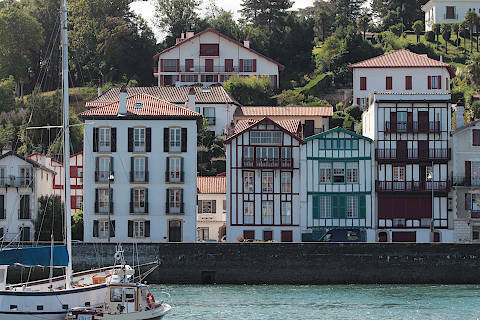 Both towns face onto the bay of Saint-Jean-de-Luz, a natural bay that is sheltered from the larger Atlantic waves. 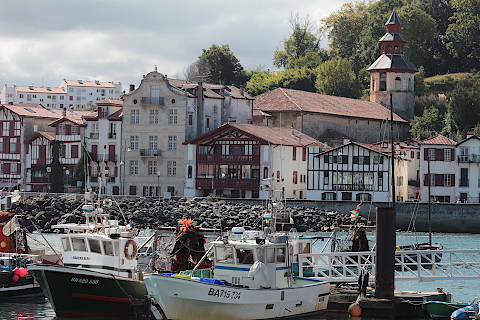 Ciboure grew and became prosperous starting from the 16th century when St-Jean-de-Luz decided to refuse admittance to fishermen, pirates, bohemians and vagabonds. Thus Ciboure, just outside the town and slightly less choosy about who stayed here, came into being. Ciboure today is once again much quieter than Saint-Jean-de-Luz - there were no pirates or vagabonds to be seen when we visited - and is now essentially a suburb of the larger town, although the latter town is easily reached from Ciboure. 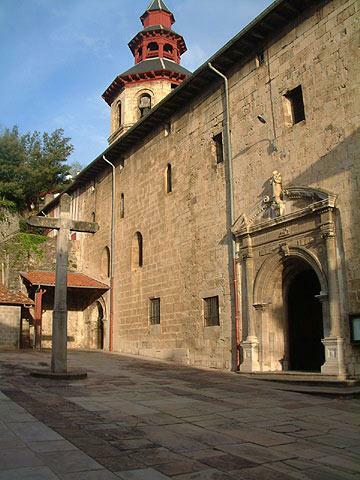 It is a small, pleasant town with interesting streets to explore which has managed to maintain its own identity. The town has its own main beach, sandy and supervised in summer, and two smaller beaches near the fort. 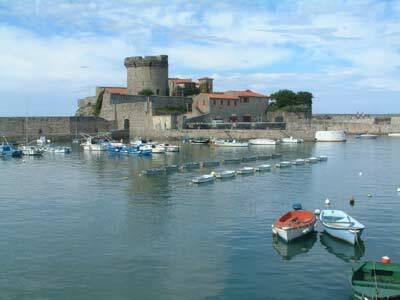 Away from the beach it is the attractive harbour front area in Ciboure that holds most interest to visitors, with a few shops and cafes around the harbour itself and the Fort de Socoa, reinforced by the military engineer Vauban, on a promontory. In the town behind Ciboure harbour the imposing Church of Saint-Vincent dates from the 16th century and has an unusual octagonal belltower and a decorative entrance while inside there is a magnificent altarpiece, many wall paintings, and the three rows of wooden balconies that are a common feature of basque churches. You can also explore the streets lined with traditional old villas on the hill behind the harbour, and there are also now a very large number of modern apartments here for the many visitors and second-home owners attrated by the region and the climate. 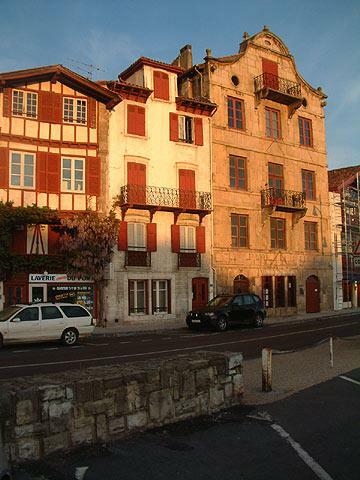 Ciboure was the birth place of Maurice Ravel, the composer, who returned here to work on various works including Bolero. Henri Matisse, the artist, also lived in the town for a while. 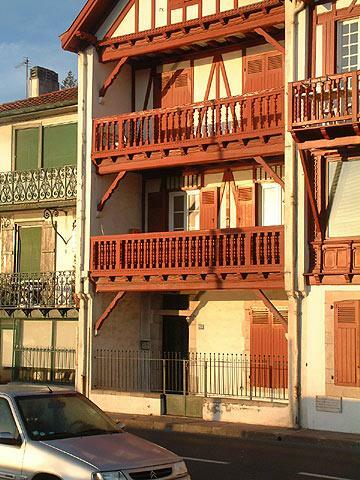 The houses of these two great artists can be seen near the harbour in Ciboure. Nowadays, in addition to fishing, Ciboure is a popular centre for diving, wind-surfing and other watersports, with activities based around the Fort de Socoa. A weekly market is held in Ciboure each Sunday morning. The coast path from Ciboure is a pleasant way to explore the region and continues south to Hendaye on the Spanish border or north as far as Bidart. 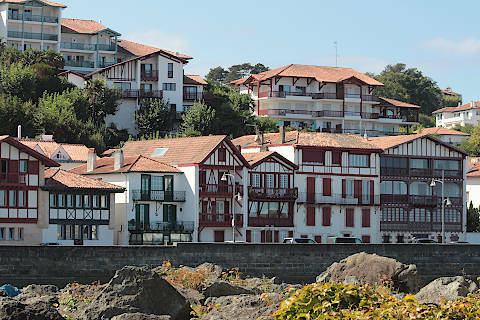 As well as the lively town of St-Jean-de-Luz Ciboure is also well placed to visit several other places of interest such as Hondarribia (a historical town across the border into Spain), and the basque villages in the Pyrenees to the west such as Sare and Ainhoa - these are both listed among the 'most beautiful villages in France'. You can find more local travel ideas in the Pyrenees-Atlantiques guide and the Aquitaine guide.